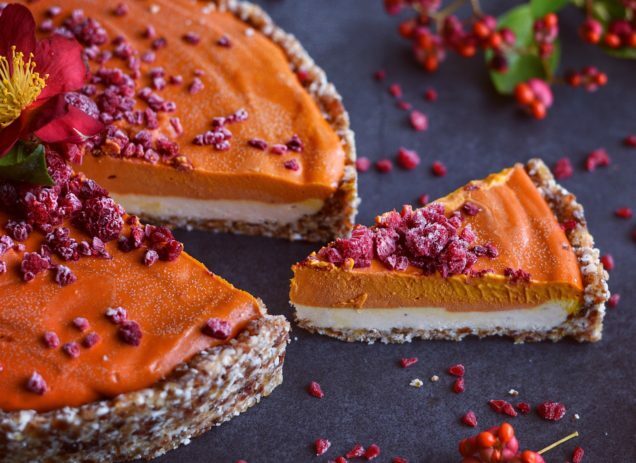 This amazingly delicious yet refreshing Raw Vegan Lemon, Baobob & Acai Berry Cheesecake with crushed raspberries is a nutritionally dense dessert full of all the goodness of vitamin C, prebiotics, fibre, pectin, antioxidants, protein just to name a few! 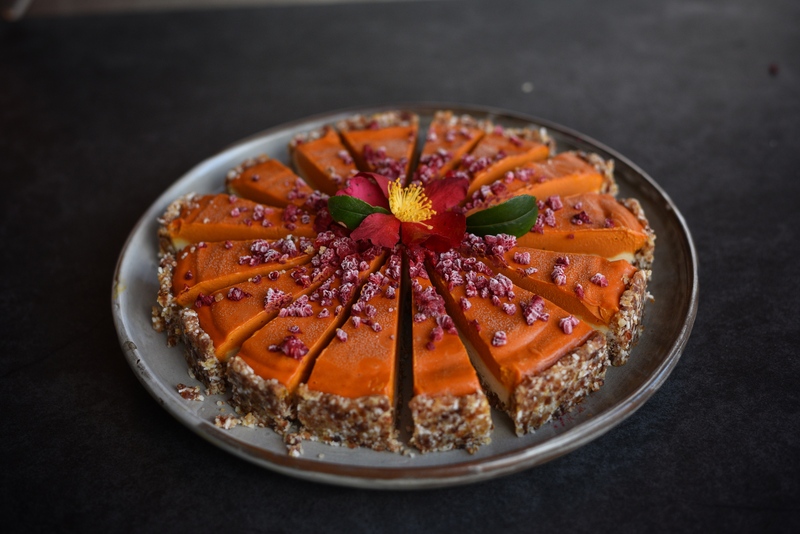 The best part is you can enjoy it without the after bloat of traditionally made cheesecakes! Blitz all base ingredients in food processor until they stick together. Press into a 21-22cm round cake tin with push out base. In a high speed blender, pulse lemon cheesecake ingredients until very smooth and creamy. Stop once in a while to scrape down sides. In a high speed blender, pulse Goji Berry ingredients (except raspberries), until very smooth and creamy. Stop once in a while to scrape down sides. Allow to defrost for at least 10 minutes before slicing!